Collins Booksellers - Flaws in the Ice by David Day, 9781922072771. Buy this book online. 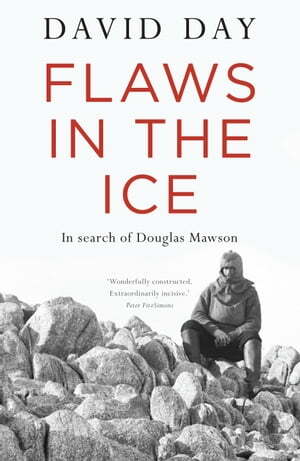 In Flaws in the Ice, prize-winning historian David Day searches for the real Douglas Mawson. After travelling south on his own six-week odyssey to the Antarctic, the author answers the difficult questions about Mawson that have hitherto lain buried — from questions about his intimate relationship with Lady Scott, and his leadership of the ill-fated Australasian Antarctic Expedition of 1911–14, to his conduct during the legendary trek that led to the death of his two companions. He also explores how Mawson subsequently concealed his failures and deficiencies as an expedition leader, and created for himself a heroic image that has persisted for a century. For many decades, there has been only one published, first-hand account of the expedition — the one written and orchestrated by Mawson himself. Only recently have alternative accounts become publicly available. The most important of these is the long-suppressed diary of Mawson’s deputy, Cecil Madigan, who is scathing in his criticisms of Mawson’s abilities, achievements, and character. At the same time, other accounts have appeared from leading members of the expedition that also challenge Mawson’s official story. In this compelling and revealing new book, David Day draws upon all this new evidence, as well as on the vast research he undertook for his international history of Antarctica, and on his own experience of sailing to the Antarctic coastline where Mawson’s reputation was first created. Flaws in the Ice will change perceptions of Douglas Mawson forever.